Gene Black an Alabama Artist and Quilter: Two new "Starts"
While I have not finished another notebook cover, I have one well underway. 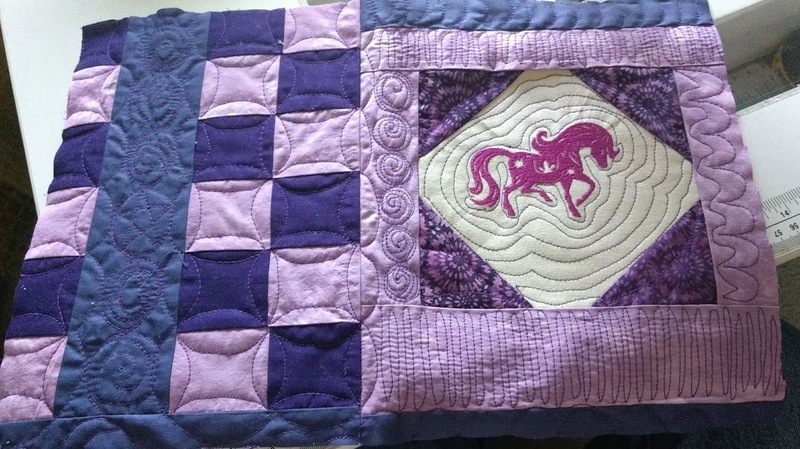 This is another horse embroidery with some hand dyed fabric and lots of free motion quilting. I am taking Christina Cameli's newest class on Craftsy - Quilting the Grid. I used this to quilt the small squares. 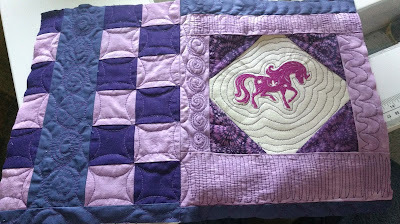 Plus I used some of the quilting motifs from the class to quilt a lot of the rest of this. Right now the class is on sale for only $19.99. Or if you prefer to start with her first class, it is Free Motion Quilting Essentials and is on sale for $17.87 during the current sale. Lots of other classes and supplies are on sale right now at Craftsy. The other start is on my loom. It was empty - so I decided to join the Three Random Color weave-along. I pulled the colors "crimson, pale goldenrod, and beige." Now these are not my typical palette for anything - so this will be a challenge. But challenges make us grow- right? 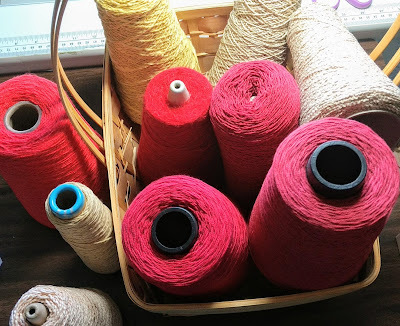 I gather cones of weaving yarns in the colors - or as close as I could manage from my stash. 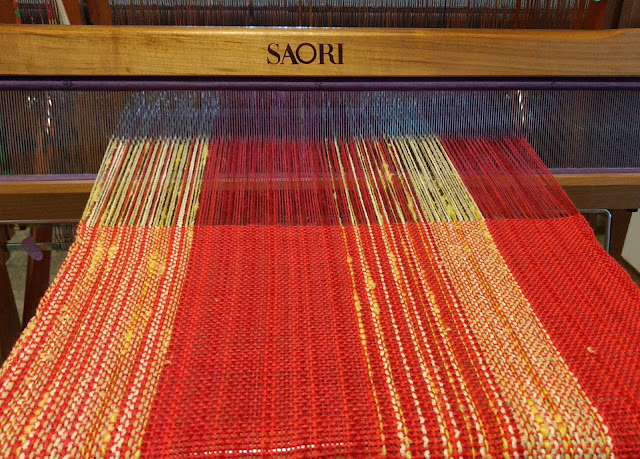 I wound the warp and got it on my loom. (The warp threads are those that run the length of the fabric) Then I filled a bobbin with one of the reds and wove a bit to see how it was looking. I think I am going to like it! I just love seeing your weaving process and the beauty of the threads on the loom...just awesome.